Saving Money When Purchasing Teak - St Angelo Hardwoods, Inc.St Angelo Hardwoods, Inc. While some tout a steady recovery of our emaciated economy, those in the thick of it know this is simply not the truth. Sure, business is better than it was a few years ago but how could it have gotten worse? There have been some sectors of the economy that are thriving, most of which are financial institutions and others propped up with government assistance or bail outs. The Dow is artificially inflated by the Fed buying $85 billion in bonds per month which drives foreign investors to wonder what is going on here in the USA. 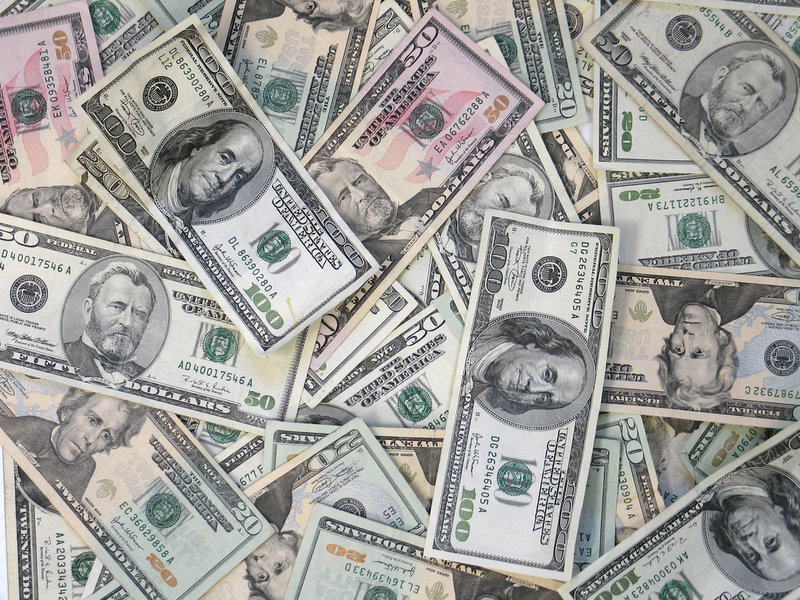 Buying the bonds and keeping interest rates at all-time lows only means the printing presses need to be inked more and more ultimately devaluing the dollar and scaring away both foreign and domestic spending. Unemployment is artificially down from 9% because more people quit looking for work every month than are being hired. Once you quit looking for work, you don’t count anymore. Simple as that. 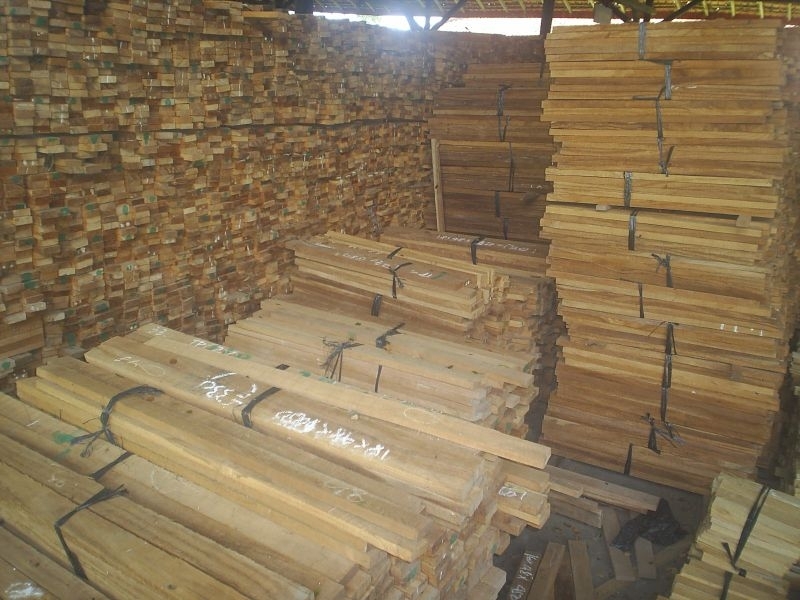 Political science and inept government leaders aside, now is still a time to be prudent while purchasing teak lumber as this particular species seems to carry a higher value than most other woods. 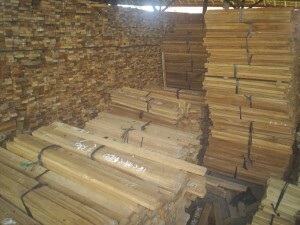 We have put together a few ways for you to save money while purchasing teak lumber. Burma has decided to ban the export of logs beginning April 2014. This will certainly put a strain on supply and create more demand for larger sizes therefore driving costs higher for certain sizes. That being said, this is actually a good thing. Conservation of the forest is a necessary part of doing business in the lumber trade and at St. Angelo Hardwoods we back any reasonable effort to maintain our natural forests. Shorter or narrower pieces can often save you upwards of 35% off the cost of longer or wider pieces. Many times, shorter pieces will work. Most people, with good reason, think of teak as they do for domestic species in the area of even lengths and even widths. Fact is, teak is nothing like domestic species. Teak runs anywhere from 2” wide to 22” wide in every width (odd and even) in between. Likewise, lengths run the same way but go one step further. Lengths are sold on the half foot too! Multiple specials for 6-7 ½’ lengths are listed on our site daily. I know. Buying more than you need is ridiculous and couldn’t possibly save you money. Quantity price breaks are available at many levels. If you require 200 BF for a project and you have already factored your waste (most do not), consider buying 250 BF as this price break level saves you 10%. Of course this only becomes advantageous when there is a future use for the lumber otherwise it is a waste of money. If you’re in the line of work that uses teak lumber on a regular basis and the financial coffers permit such a thing, you can save thousands of dollars per year with this simple step. Bulk items are listed on our specials page. With all natural products there will be variations in grain and color. Trying to match color and grain exactly is like emptying the ocean a teaspoon at a time. It takes a very long time and the job will realistically not get done. Time is money! 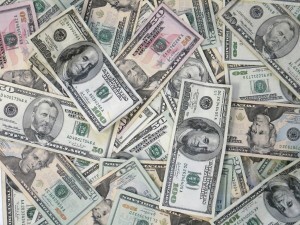 By using these few simple rules you could save hundreds or even thousands on one project alone. Be sure to ask a lot of questions and calculate usage carefully and together we can save you money.